Rowing is an incredible exercise and recreational opportunity. If you’re anything like us, you spend as much time as possible on the water, counting down the hours until you can step back into the boat. 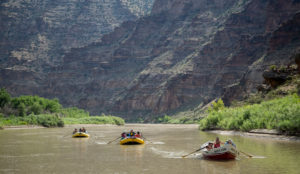 However, we should all be a bit more realistic—it’s impractical for most of us to only row in natural rivers. Getting outside can impose a tough time restraint, and finding fellow rowers is a difficult task, especially during the week and in colder months. Investing in a gym membership or rowing machine is a great method for clocking your necessary rowing hours. Whether your rowing practice is professional or recreational, you should be utilizing the gym several times each week. This is essential to maintain muscle mass and perfect form. 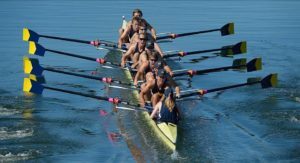 You could be looking for ways to stay in shape during the off-season, or maybe you want a hassle-free way to get a rowing session in without hauling the boat all the way to water. Utilizing a rowing machine—whether it’s at your local gym or in your basement—is an excellent way to get your workout and practice form. Unlike other workouts, the rowing machine mimics the action used on the boat, allowing you to target the exact muscles you need. Rowing machines, however, provide a slightly varied experience. Other than a change of scenery, rowers should know about a few machine settings. The fan, for example, controls the heaviness of the pull and the strength necessary to complete a row. The split is an adjustable setting which refers to the time necessary to cover 500 meters—essentially, this is a speed setting and gauge. Before settling into a rowing machine, ensure you understand each aspect of the device and screen; once you have that straight, you’re ready to begin your workout. The best part? Very few people use the gym rowing machine, opting instead for treadmills, ellipticals, and stationary bikes. Rowing machines provide the ultimate cardiovascular exercise, raising your heartbeat and prohibiting rest until the exercise is complete. 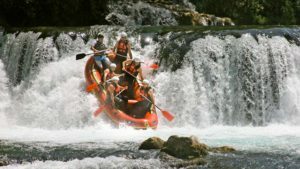 Rafting Allows You to Leave the Campground. Are You Ready?